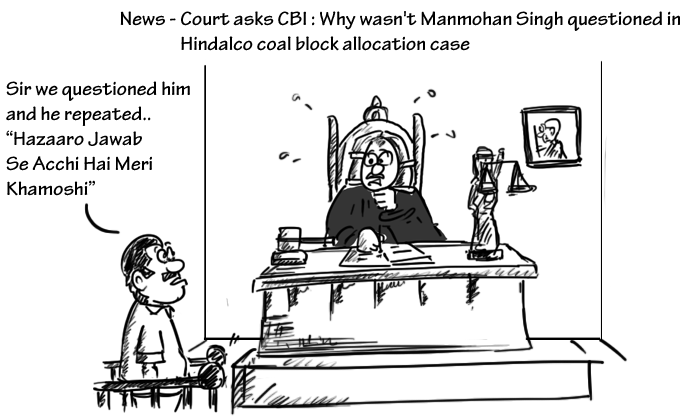 The Special Court slammed the CBI over its handling of the Hindalco coal block allocation case, asking why wasn’t former prime minister Manmohan Singh questioned in the case. Well, what is the answer expected from CBI in this regards ? 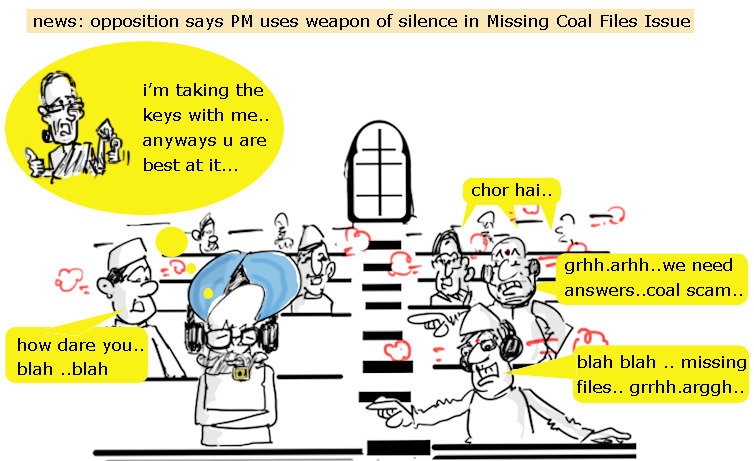 Here is the cartoon drawn on lost files in Coalgate case where the PM kept silent against the acquisitions of the opposition.